Around 220 man and women gathered in the small Bavarian village of Kucha to fill their nostrils with tobacco, last weekend, during the German Tobacco Sniffing Championship. The origins of this offbeat competition are unclear, but one thing is for sure: Bavarians take it very seriously. For competitors outside the region it’s mostly just a fun way to spend a summer weekend, but locals actually train for it, and come with all kinds of techniques to help them sniff as much tobacco as possible. 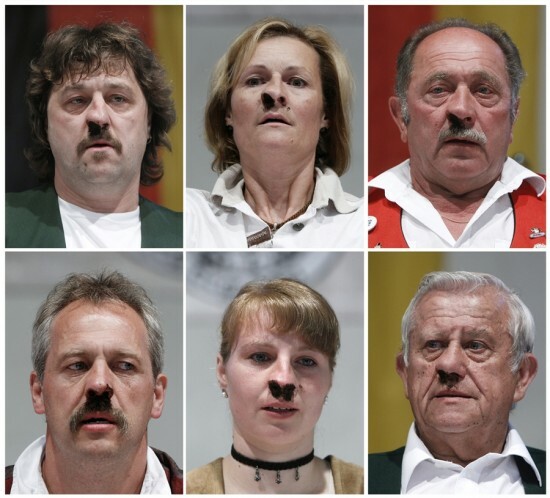 During the German Tobacco Sniffing Championship, competitors are given a small box with five grams of tobacco called Smalzer, and they have to get as much of it in their nose. Sounds easy enough, especially if you have a big nose, but seasoned veterans claim it’s all about skill and technique. Competitors are allowed to blow their noses, sniff and push the tobacco up their nose, but whoever sneezes is disqualified. Tobacco sniffing is a big deal in Bavaria, and 90 % of tobacco-sniffing clubs are established in this region, so it’s no surprise Bavarians always win the competition. This year, the contest was won by 43-year-old Christian Knauer, who managed to stick 4.993 grams of tobacco in his nose, and score a maximum score of 20, for cleanliness. Knauer, who also won last year’s competition, says his secret lies in the special plastic nails he uses to pick up the tobacco from the small wooden box. Picking as much Smalzer in only one minute can be tough, because the box has corners and angles, so he uses these custom nails.